Y'all, love makes me so, so happy. And typically, I love everything but pink... But, this time of the year I cannot help put fall in love with all things pink, quirky and fun. Sure, flowers and a box of macarons is always a win but why not step outside your comfort zone and get something a special that your girl is bound to love. 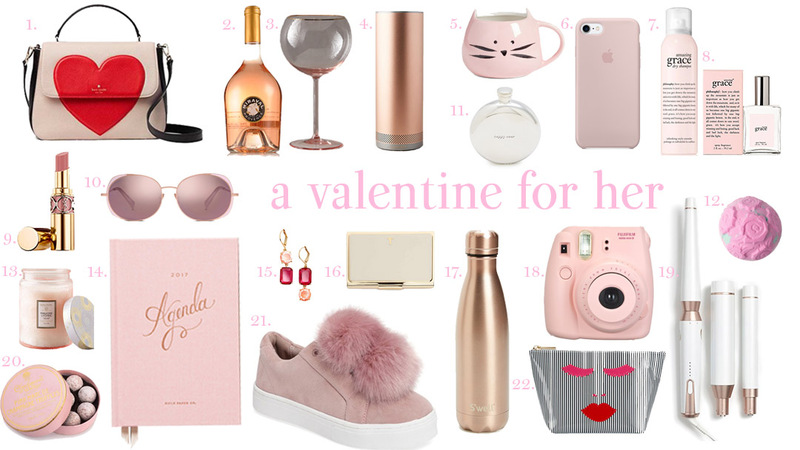 I have gathered some of my favorite Valentine's Day inspired gifts, let me know what's on your list! And incase you don't have a Valentine, just remember... You should always get a little something for yourself!